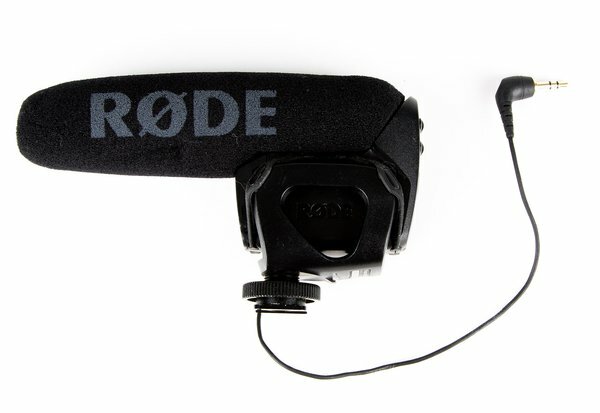 The Rode Videomic Pro shotgun microphone is the premiere way to record audio into your DSLR or small camcorder with a 3.5mm minijack input connector. Offering a broadcast quality super-cardioid pickup pattern in a high resolution 1/2" condenser capsule, this thing picks up only what you need and rejects all the rest. With a built-in shoe mount and an integrated shock mount, the Videomic Pro is plug-and-play! A neat little feature is the 3-way level control, allowing to switch between -10db, 0db, and +20db levels on the fly. The +20db option allows you to considerably reduce the gain level on your DSLR to greatly reduce any noise coming from the camera itself. No batteries included, this unit requires a 9V Battery.